Open space • Buyout proponents hope County Council will revisit rejected funding request. Courtesy of Save Our Canyons Bonanza Flats near the Wasatch Crest's Guardsman Pass would be preserved under a $38 million deal reached by Park City leaders with the 1,350-acre parcel's owner. This land was to become a 260-unit luxury destination, but the city, Summit County and nine non-profit groups have joined forces to acquire the land for public enjoyment and habitat conservation. With time running out on the $38 million deal to conserve Bonanza Flats, several Park City-based businesses are backing last-ditch fundraising efforts to cover the remaining $2.6 million gap with two weeks remaining before a June 15 deadline. The June 10 running of the Park City Trail Series will be devoted to raising money and awareness toward what has become one of the most ambitious land-conservation campaigns in the Central Wasatch Mountains in recent years. "This land is awesome, one of those gems that needs to be preserved and put into open space," said Kodiak Cakes CEO Joel Clark, whose pancake-mix making firm is helping sponsor the 5K race and pledging $10,000 to Bonanza Flats. "Part of our mission is to inspire active lifestyles and health eating. That&apos;s a good mission for a food business." The 1,350-acres of alpine meadows near Guardsman Pass has been approved for development into a gated luxury resort, but the current property owner agreed to sell to Park City, whose voters approved a $25 million open-space bond to jump-start the purchase. A fundraising campaign has since amassed more than $10 million, but conservationists are running out of time to close the gap. Many public agencies and private individuals have pledged money, but the Salt Lake County Council rejected a $3 million request on a party-line vote, even though the slice of Wasatch County is used by Salt Lake hikers, cyclists and snowmobilers who access the land from Big Cottonwood Canyon. Americans for Prosperity, a Koch brothers-supported group advocating limited government, had lobbied against the spending proposal, arguing it would divert funding from Salt Lake County government&apos;s core mission. But other public entities have donated and see Bonanza Flats preservation as a worthwhile investment, including Salt Lake City Department of Public Utilities, $1.5 million; Wasatch County, $25,000; the town of Midway, $10,000; Utah Reclamation Mitigation and Conservation Commission, $150,000; and the Metropolitan Water District of Salt Lake & Sandy, $500,000. The latter sent a district letter to members of the Salt Lake County Council and Ben Mayor McAdams, asking them to reconsider the funding request that could seal the deal. "It&apos;s an opportunity to make good on an error they made a couple months ago," said Carl Fisher of Save Our Canyons. "They can look like the heroes or the villains in regards to the central Wasatch." The council could revisit the issue, but only at the request of a council member who had previously voted no, and so far no such request has surfaced. "The mayor thinks it was a mistake for the county to not support the conservation purchase," said McAdams&apos; spokeswoman Alyson Heyrend. "He would like to see it happen if there is council support." Fisher said survey data generated by the U.S. Forest Service and Utah State University suggest most people using Guardsman Pass, which provides recreational access to Bonanza Flats, are from Salt Lake communities. "It shouldn&apos;t matter which county it&apos;s in because we all benefit," said Fisher, who called the land a regional resource and said it would be "foolish" for Salt Lake County not to take advantage of "a significant subsidy on the price" by Summit County. "The council appears to be in a choke hold from [Americans for Prosperity]," he said, "but nobody is going to prosper if Bonanza is developed." he said. Utah Open Lands and some of its many partners in the Bonanza campaign have nearly $1 million in grant requests pending before various foundations. A pledge from Salt Lake County could help leverage additional dollars, according to the group&apos;s executive director Wendy Fisher. "Bonanza Flats will happen if we get the coalition support. Part of that coalition has to be Salt Lake County," she said. "It shouldn&apos;t be put on the backs of Park City voters who have already contributed to this." Park City has put down $3 million, taxpayer money that could be lost if the funding gap isn&apos;t closed. 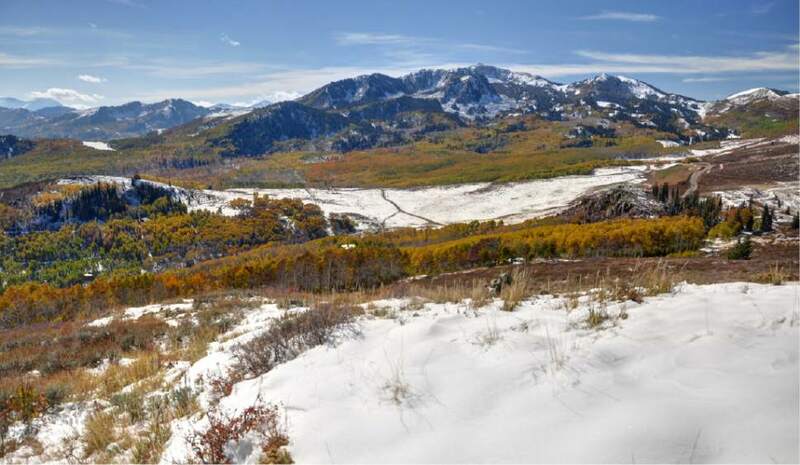 The resort town in Summit County has previously invested tens of millions in open space projects that are used mostly by Salt Lake County residents. One of these places is Round Valley, where at least 500 people are expected to race on June 10 to benefit the Bonanza purchase. Joining Kodiak in sponsoring the June 10 event are SkullCandy, Dos Coffee and ProBar. Kodiak Cakes, which started making mixes from recipes developed by Clark&apos;s mom, has grown rapidly and now employs 33 workers, who receive stipends to help purchase outdoor recreation equipment. The company also donates a portion of its sales to wildlife conservation, its CEO said. "Let&apos;s see if we can rally some people," Clark said. "It takes grassroots efforts like this race."